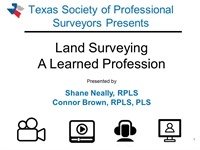 Connor obtained his BAAS Degree from The University of Texas at Tyler in 2002, achieved licensure as a Registered Professional Land Surveyor in Texas in 2012, and as a Professional Land Surveyor in New Mexico and Colorado in 2016, and in Oklahoma in 2018. Connor is a Project Manager with ELS Surveying & Mapping, Inc. in Tyler and has 18 years’ experience in surveying including experience in boundary, ALTA, topographic, route, construction, and oil/gas projects in 70 counties in Texas and 2 counties in New Mexico. 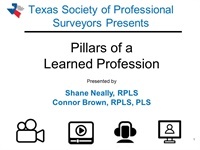 Connor is a third-generation land surveyor and is an active member of the Texas Society of Professional Surveyors, both on the Chapter and State level, currently serving as Vice President of Chapter 4, Chapter Representative for Chapter 23, and as a State Director. Connor is a member of the TSPS Public Relations Committee and the TSPS Education Committee and is the current Chair of the TSPS Chapter Activities Committee. 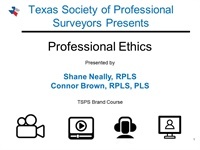 Connor also served as the first East Texas Regional Coordinator for the Texas Young Surveyors. 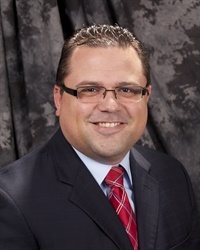 Connor is a Board of Directors member of the Surveying Education Foundation of Texas and a member of the Item Writers Committee for the Texas Board of Professional Land Surveying. Connor was awarded the TSPS Young Surveyor of the Year in 2018.